This is a guest post from Vince DeGennaro of Project Medishare, our partner in Haiti. It was originally published in Notre Dame Magazine and on his blog. A phone conversation with a friend of a friend in Philadelphia changed the way that we can help people in Haiti, but it all started when a young American man on a bus in Costa Rica changed healthcare all over the world. I watched Daniel, a skinny 15-year-old, get sicker with each passing week, unsure how to help him. 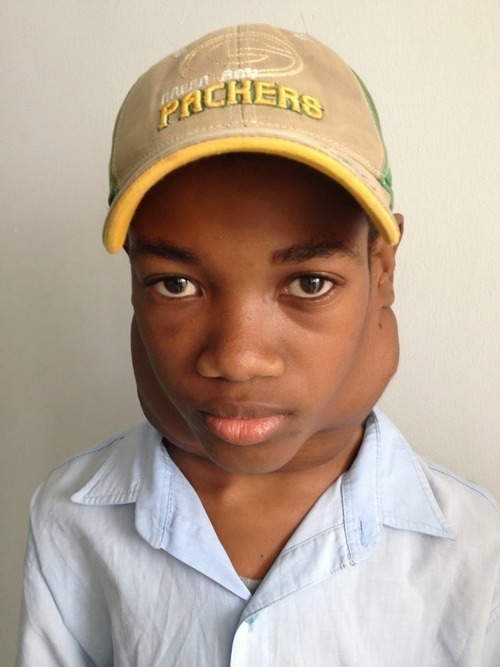 Every time that he visited the hospital, the tumor on his neck had grown. His mother had come from six hours away in the north of the country to seek care from Project Medishare’s hospital in Port-au-Prince. I noticed him waiting in line for the plastic surgery clinic and pulled him aside, sure that his problem could not simply be corrected by a scalpel. A biopsy showed a rare type of throat cancer; bad luck had made him sick and poverty prevented his doting mother from obtaining care for him sooner. Since it had not yet spread to his lungs or liver, Daniel’s cancer was still curable. The cure required radiation therapy that is only available in the Dominican Republic and costs $1500 per patient. The youngest of seven children, Daniel’s family could barely afford to send him to school let alone pay for the radiation that would save his life. I searched around to find partners to help pay for his treatment. Partners in Health offered to pay for his radiation treatment, but this was only part of the treatment cost. Passports, Dominican visas, bus tickets, and food for six weeks added up to another $1500. I reached into my pocket to pay for the remainder, determined to not let him down. Then I stood in line with Daniel and his mother outside the Dominican embassy in Port-au-Prince, jumping up and down, shaking my stethoscope until we were permitted entrance (see the blog “Oz”). Finally, Daniel was off to radiation and, with some luck, a life-saving cure. I could probably find the money for one child like Daniel every few months, but what about the scores of other young patients with curable cancers? How would we handle the deluge of cases? Another woman in her early 50s came to our program and asked for help financing radiation treatment for her advanced cervical cancer. In the U.S., her stage of cervical cancer has more than an 80% survival rate, but in Haiti, for those who can’t afford it, the survival rate drops to zero. Marie represented another statistic in the battle against preventable and treatable cancers in developing countries. She had children who cared for her and her small business selling clothing on the street was placed on hold as she grew more fatigued with the constant blood loss from the cervical cancer. Soon after, another young woman with advanced cervical cancer asked for our help, and the writing was on the wall — find a way to help Marie and patients like her or watch them all die. 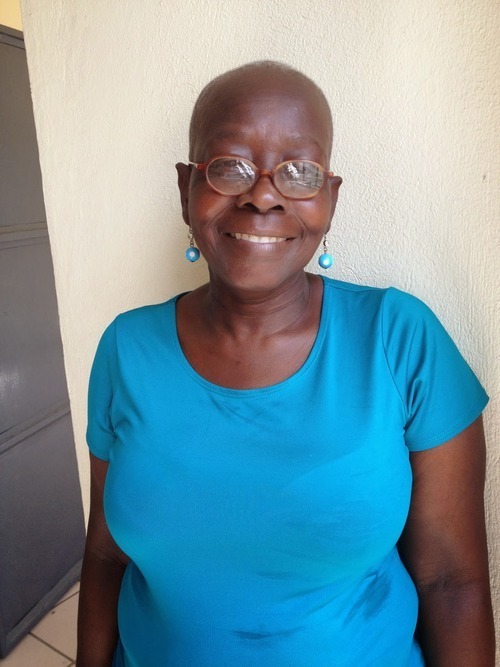 Between her family contribution and the Haitian Support Group Against Cancer, Marie had two-thirds of the money for the radiation therapy. She only needed $500 more to travel to the Dominican Republic. I could easily reach into my own pocket for Marie as well, but where does the individual charity stop? In East Africa, there exists a saying that if you help nine poor people then you will become the tenth. The axiom isn’t anti-charity, it merely points out the magnitude of poverty around the world. I looked through the program’s finances. Our resources would quickly become depleted if we were to enter into the business of cervical cancer but cervical cancer is the leading cause of cancer death in women in Haiti and no effective program exists to screen for and treat early stages of the disease. Not only would we run out of money quickly, but the goal of providing women with breast cancer access to first-rate treatment would be seriously diluted. We simply couldn’t do it. “We’ll see what we can do,” I said to Marie, my words ringing hollow in my own head. Not quite a lie because I spent a large portion of the day scouring the internet for sources of funding — searching for foundational and research grants and fundraising via Twitter and the blog. I’ve learned to never say “No” because the landscape is constantly shifting and opportunities arise out of the remotest of circumstances, the smallest of gestures. Nonetheless, I turned Marie away for the time being and left her to continue her search. Innovative funding mechanisms like Watsi have allowed a small scale program like ours at Project Medishare to treat individual patients with funds from anonymous donors around the world. Potential donors can read about a patient’s story and see their photograph and have the ability to connect with them on a human level. Rather than donate money to a large non-profit with heavy overhead expenses, individuals can connect with patients, real human beings in need, on four continents. More than just donating to a cause, people can connect with the patient that they identify with most: a pregnant woman in need of a safe delivery, a baby with a cleft lip in need of corrective surgery or a young mother with a small business and cervical cancer in Haiti. Since Project Medishare’s mission is to fill the gaps in the healthcare needs of the people that we serve in Haiti, partnering with Watsi made perfect sense. We initially gathered funding to treat cancer patients like Daniel, but soon expanded to our other groups of core patients: children with hydrocephalus, clef lips/palate or other birth defects. Donors give an average of $30 each, but the small amounts add up to fund definitive treatments for those in need. With the patient’s explicit permission, we posted Daniel and Marie’s cases, appealing for help from the internet. Daniel’s $1500 funded in two days and Marie’s in less than a week. We had found a way to expand the reach of the program, to never have to say no. Watsi started when Chase Adam, a Peace Corps volunteer, conjured up the idea while on a bus in Costa Rica. From there Watsi blossomed and keeps growing in size, adding new partners like Project Medishare in the meantime. We’re grateful to Watsi for bringing us along for the ride and eternally grateful to the kind souls who help us to treat patients $30 at a time. Marie completed her treatment and Daniel is just finishing up now and you can follow their progress on Watsi. The patients will never meet the donors who helped them but the donors already know them.